This year we are showcasing a bunch of startups from all over the country who are doing some amazing stuff – all Made In India. From innovative 3D printers to electronic bricks, from interactive technologies to sensor systems. They will be available for all 7 days for you to interact, learn, work and play with their prototypes. Revealing Hour Creations created Tah a crowd-funded product that aims to bridge the gap between hardware and software for developers. It is a Bluetooth enabled, Arduino-compatible board that can be used as a beacon, a micro-controller and an HID device. 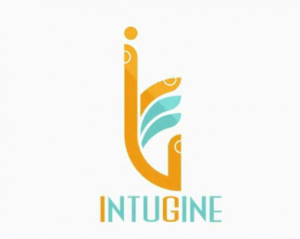 Intugine presents you Nimble, a tiny and flexible ring shaped device designed to magically transform 15 ft in front of the computer into a highly accurate interactive space (sub-mm accuracy within 1 m and sub-cm within 5 m). Play labs is a start-up that develops products & services for Creative Learning. We make it easier than ever for kids to play, learn & experiment with Technology! Fractal Works is a hardware start-up working in the 3D printing ecosystem.They are currently developing the first Indian SLA 3D printer after the success of their FDM range of 3D printers. Witworks is a Bangalore based collaborative invention company, which designs and sells consumer products created by its online community. Its web platform enables anyone to join this community and submit ideas solving everyday practical problems. Makeystreet is a system design tool for product design companies that helps you document and version control your hardware project such that you can take your product to market faster.